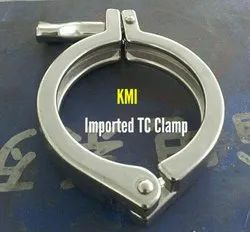 For our valued customers we have brought forward TC Clamp under our product gamut. 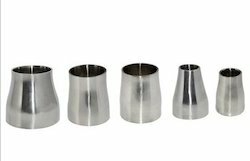 Designed and developed using premium quality steel, these products are offered with uniform finish & smooth design. Available in various specifications, these clamps have gained wider market acceptance. 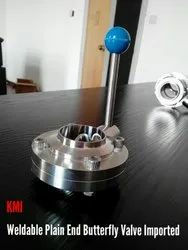 For the purpose of providing maximum satisfaction to our clients, we engage in the utilization of high grade raw materials and modern machines, in compliance with the set industry norms and guidelines for manufacturing this STAINLESS STEEL Dairy Band. Owing to this, the offered range is known to have a superior sturdiness and an impeccable resistance to corrosion. In addition, the offered range is priced quite reasonably. 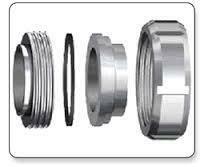 Our company is highly esteemed in offering TC Ferrule to the clients. TC Ferrule is manufactured by making use of optimum quality raw material under the watch of professionals. Offered range is widely demanded in the market for quick results. This product is strictly tested on various levels during the production process by expert professional. Offered range is appreciated by clients who are situated all round the nation for long shelf life and other related attributes. This product is dispatched in quality assured packaging material. Being a quality-centric firm we are engaged in manufacturing and supplying SMS Union, designed and developed using latest technology. These products as imparted with assured durability & high strength and thus, have gained immense industry acceptance. Prices offered a reasonable and we make delivery in a convenient way. Our company has gained name and fame in offering SS Tri Clover Clamp to the clients. SS Tri Clover Clamp is made and designed by making use of quality components and latest technology under the guidance of professionals. Offered range is well tested upon various parameters of quality before delivering to customers. This product is widely appreciated by the clients for ensuring supreme quality and defect free range. Offered range is mainly acknowledged amongst clients for high capacity, long lasting strength and other unmatched quality properties. 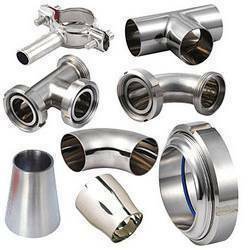 We are in the business for all types of dairy industry used like ss dairy pipe, ss dairy valves, ss dairy fitting etc . in 202 and 304 grade . we are in the business for the STAINLESS STEEL DAIRY FITTING . For our valued customers we have introduced Dairy Bend under the product gamut. Manufactured in accordance with the industry laid parameters, offered products are introduced with assured durability and sturdy finish. Dimensionally accurate, these bends are available at industry leading prices.